It felt good to “fall back” today. Not only was it bright and sunny when I stepped outside to get the Sunday paper, but by the time I was halfway through my errands and looked at the clock, I couldn’t believe it was only 1:15. The only bummer is that when I left the gym tonight, it was dark and will be from now on. 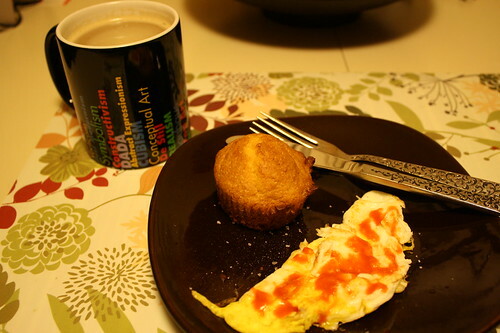 Breakfast today–I had a quick meal of Kashi Island Vanilla and coffee. 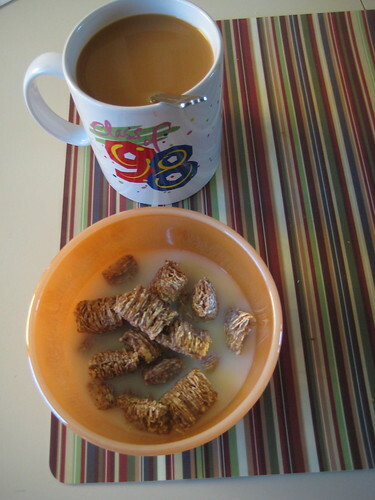 I am trying to use up some of our cold cereal. 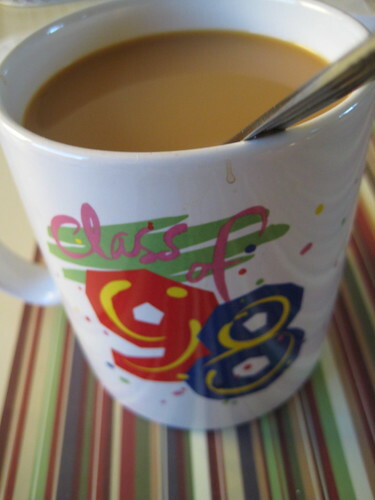 I drank my coffee out of my “Class of ’98” mug. Boy, I am getting old! I have been out of high school for 12 years. I lounged around a bit, looking through the newspaper and the ads, then decided to get ready for the day. I had a bunch of errands to run, so I wanted to get them over with. …and hit the stores. Walgreens for a prescription plus lots of great deals on various things, but mostly baking supplies like 99 cent Libby’s Pumpkin in a can. Then Target to return a gym bag I no longer needed, meds, vitamins, looking around at their lovely clothes, searching for a secret santa gift for my co-worker, etc. Everyone was buying Christmas stuff already! I know I want to get my shopping done ASAP too. While I ran errands, Craig winterized the house. He cut the grass for the last time, brought our bikes downstairs 😦 and removed other items from outside. 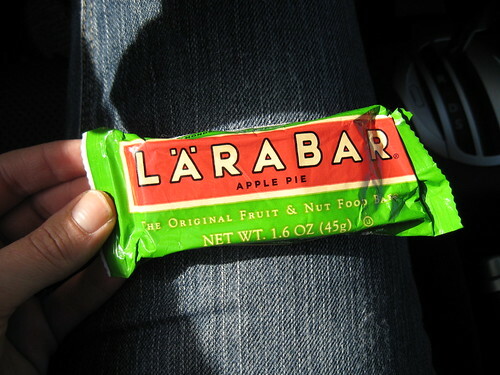 I had an Apple Pie Larabar before heading into Target–it was lunchtime and I needed a little fuel to avoid getting cranky at the store. I couldn’t resist the Autumn Mix that was 75% off. They had so many bags. 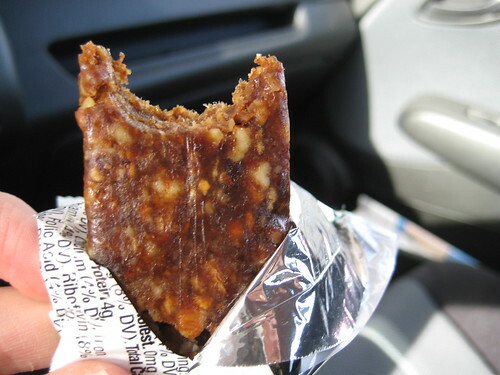 Am I the only person who likes this stuff? The final store I headed to was Sam’s Club. Turning into the parking lot gave me an icky feeling in my tummy. All I could think of was my crazy trip there on Friday. Luckily, this time I was not filling my car up with food nor spending $660. I bought things for Craig and I instead of for work: two containers of Chobani flavored yogurts, tortilla chips, pita chips, more Gummy Vitamins because they were a bit cheaper than Target’s, strawberries and a big bag of Gala apples. Oh and I sampled a tiny piece of Pumpkin Pie. Yum, I couldn’t resist! Can’t wait to have more at Thanksgiving. 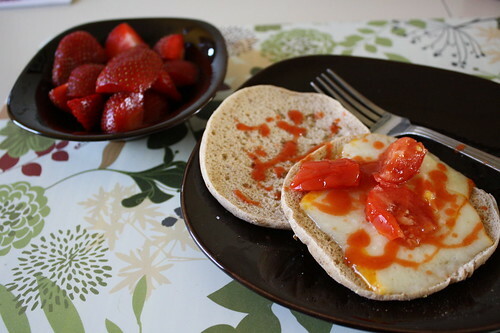 Upon returning home, I eyed up the strawberries and made a little late lunch. I just warmed up some Muenster cheese on an Arnold’s Thin, added hot sauce and a tomato, plus had some strawberries for dessert. The rest of the afternoon, I rested my foot a bit while reading a book and a magazine. I also headed to the YMCA and lifted a circuit of weights and biked 6.57 miles in 32 minutes. 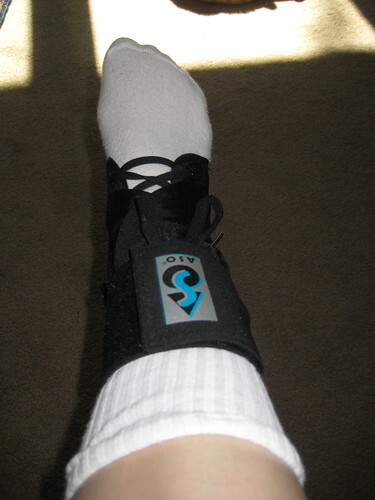 I wore my ankle brace there too and my foot felt fine the whole time. 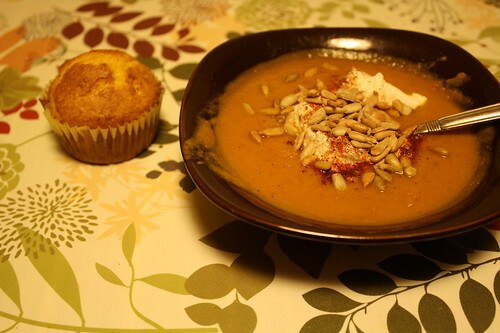 Dinner was South Indian Pumpkin Soup topped with greek yogurt and sunflower seeds (wish I had pumpkin seeds like the recipe suggests as a topping, but I don’t) and two freshly baked cornbread muffins. I love cornbread! 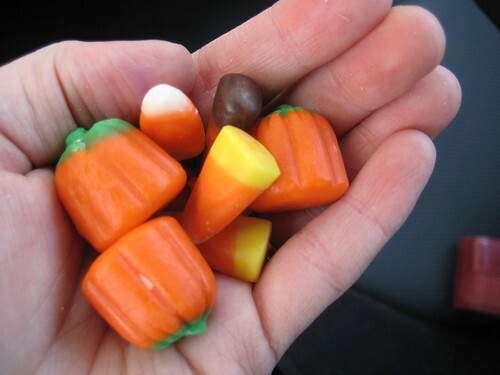 Sadly, I did not make this from scratch, but used an instant mix. Time to look up some items I want for Christmas, like prescription goggles for swimming at the gym. I think I need to do some more swimming when my ankles act up like they have been. I am blind without my contacts, so it’s time for some prescription goggles. Anyone have any they would recommend?